Welcome to the website of the Potential Gas Committee (PGC). We are the only existing group that assesses the future supply of natural gas in the U.S. Our first assessment was published in 1964 and we publish a new assessment every two years. More than 800 experienced volunteer geoscientists and engineers contributed to PGC assessments. The most recent assessment was produced by ~80 current PGC members. Our assessments inform decision-making and help build compelling cases for investment in natural gas. 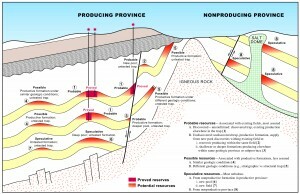 We assess technically recoverable gas resources in conventional and unconventional (tight, shale, coalbed) reservoirs. 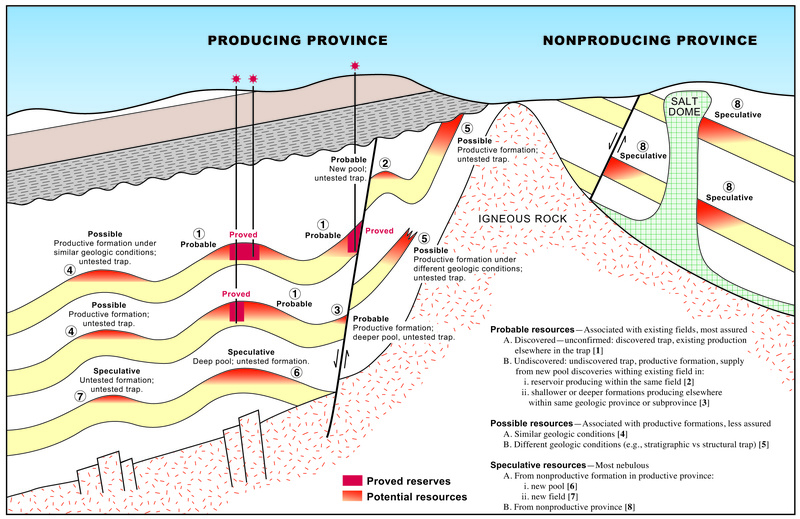 We assess Probable, Possible and Speculative resources as shown on the diagram. Our latest (year-end 2016) assessment suggests that the U.S. has 2,817 trillion cubic feet (Tcf) of technically recoverable natural gas resources. This is in addition to ~324 Tcf of proved gas reserves estimated by the U.S. Energy Information Administration (EIA). The map shows where the resources are located. 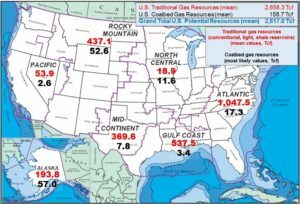 When the PGC’s assessments of technically recoverable resources are combined with EIA’s latest determination of proved reserves, the U.S. future supply of natural gas stands at 3,141 Tcf. The Potential Gas Committee released its biennial resource assessment on July 19, 2017. The report is now available for purchase. Download the Order Form below or click on the Publications link to learn more. Reservoirs engineers, geoscientists and managers are welcome to join PGC and contribute to the next (year-end 2018) PGC report.